Still My by Jojo Moyes. I absolutely loved Me Before You by Jojo Moyes. It is one of the very, very few books that made me cry and not just a few years but proper ugly cry. That might not sound very good but the story was just so very beautiful and, well, let’s just say that I loved it. So when I heard that a sequel was coming out I was incredibly excited and keen to read After You. I actually read and reviewed After You by Jojo Moyes for a magazine, which was very exciting in itself but if I am honest the book did not live up to Me Before You. So, when I then heard that there was another book coming out in the series called Still Me I had a moment of worry that it also wouldn’t quite live up to the first book, but I still felt very excited about it and again desperate to read it. So when I had the opportunity to read the first chapter of Still Me by Jojo Moyes I jumped at the chance. It isn’t a very long chapter but it was enough to tell me that I have to read this book! The main character Lou is off to New York for a new job caring for a lady having been recommended by Nathan, who was a character that I loved in the first book, so it was great to see him back. We follow Lou as she arrives in New York, finds her new home and goes out for coffee. Quite simple really but Lou is such a great character that she makes it readable and not only that but interesting and something that I wanted to keep reading. Perhaps reading the first chapter wasn’t the best idea because now I have to wait to read the rest!! If you loved Me Before You by Jojo Moyes then get very, very excited because a treat is coming on 25th January 2018. If you haven’t read Me Before You then go do it, you have time to read that and After You so that you too can look forward to the release of Still Me too. Lou Clark is back in the ALL NEW Jojo Moyes novel Still Me, follow-up to the Number One international bestsellers Me Before You and After You. Read the first chapter here! Lou Clark knows too many things . . . She knows how many miles lie between her new home in New York and her new boyfriend Sam in London. She knows her employer is a good man and she knows his wife is keeping a secret from him. What Lou doesn’t know is she’s about to meet someone who’s going to turn her whole life upside down. Because Josh will remind her so much of a man she used to know that it’ll hurt. Lou won’t know what to do next, but she knows that whatever she chooses is going to change everything. Still Me by Jojo Moyes will be released on 25th January 2018 and is available to pre-order Amazon UK and Amazon US. I loved the idea of this book, the Crime Writers Association is a UK based membership club for crime writers and every year they produce an anthology of short stories written by their members. This year the anthology is published by the ever reliable Orenda books which to me makes it even more exciting. If you’re a crime fan then this is the book for you! An anthology of short stories written by some of the best crime writers around is pretty much heaven for most crime readers. If you’re like me and enjoy reading books set in exotic locations then this book is pretty much perfect. What I love about anthologies is that I get to read lots of stories by different authors and I am always introduced to new authors that I haven’t read before. This can only be a good thing but if you do find an author whose writing you don’t particularly like then it’s only a short story and so doesn’t take long to finish. If I am totally honest this book made me realise that I don’t really enjoy reading short stories as much as full length novels. I like to be able to get right into the story and while you can do that with a short story it just doesn’t work as well as the story is over so quickly. Another thing that I realised is that I like looking forward to reading my book, thinking about the story and wondering what might happen next, but that can’t happen with a short story as you read it in one go and then it’s over and you move on to the next book. But of course there are many positives to reading short stories and I loved the fast pace of the stories, every word mattered and so there wasn’t any wastage and things got where they were going pretty fast. Some of the stories had me holding my breath and disappointed when it finished, the majority of the stories were great, some were even better and some weren’t quite as good. I think that this book would make a brilliant present as anyone will find something that they like and hopefully love. 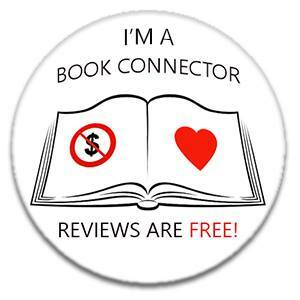 A non-crime reader will definitely find out whether they might like to read crime or not and if they do they’ll have some ideas of authors to try and crime fans will definitely find new authors to read. Once again Orenda Books have produced a brilliant read with some amazing crime authors involved. I look forward to next years anthology! The CWA Anthology of Short Stories Mystery Tour is out now and available from Amazon UK and Amazon US. Ok, so first off I need to tell you that I really, really enjoyed reading The Secret Mother by Shalini Boland. It wasn’t that it was the best written book or the most amazing storyline but there was something about it that grabbed me and kept me hooked. I think what made it so good was wondering whether Tessa was actually a reliable witness, was there really a child in her kitchen or was she delusional? And if there was a child then had she really taken it from where he belonged? It is perfectly set up to make the reader unsure of what the truth might actually be as Tessa’s story does sound rather implausible, why would a strange boy be in her kitchen and saying that she was his Mummy? Very clever. Something fishy had to be going on, and sure enough, it was. The book takes us on a journey with Tessa as she sets out to prove her innocence. Her ex fights her at every turn, seemingly convinced that Tessa is unstable and needs help. But Tessa’s boss believes her and sees something in her that other’s done and he helps her find the truth. I actually really enjoyed reading about Tessa’s relationship with her boss and it was great that she had someone supporting her along the way. I’ve not given anything away that isn’t in the blurb and so I won’t say anymore as I don’t want to ruin it for anyone, but I really did enjoy this book and thoroughly recommend it to anyone who enjoys books that keep you wondering and guessing and not sure of who to believe. Once again the publishers Bookouture have produced a psychological thriller that is a cracking read. The Secret Mother by Shalini Boland is out now and available from Amazon UK and Amazon US.